Yearly school portraits bring together southern photographers like Katelyn Krueger and children in the North. Baby Nevaeh Tudlik was only nine months old when she got her first portrait taken. Year after year, the same photographer would travel to Rankin Inlet, Nunavut, and snap a photo of her in front of the same background — ethereal clouds that symbolize heaven, which is Nevaeh's name spelled backwards. Now, Nevaeh is five years old. 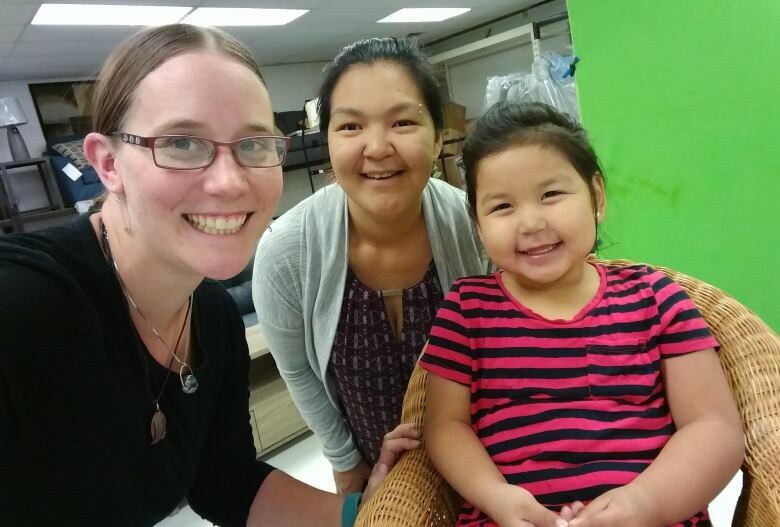 "It brought me to tears when I saw her in kindergarten when I was last there," said Katelyn Krueger, a photographer based in Toronto that spends eight months of the year travelling to remote northern communities to take family and school portraits. "She had grown up so much," said Krueger. "Oh, it's incredible." Krueger is one of a handful of photographers with Heirloom Portraits Inc., an Ontario-based company specializing in school and family portraits. The company makes it its mission to serve 130 remote communities across Canada. In the territories alone, the photographers go to about 40 communities a year — from Old Crow, Yukon to Qikiqtarjuaq, Nunavut. I was astonished that she could pull this baby magically out of her amauti. - Shirley Miller, president of Heirloom Portraits Inc. They work seven days a week for four months at a time, using a variety of modes of transportation — from float planes to trucks on ice roads — to get to some of those communities, said Heirloom president Shirley Miller. The photographers set up in a school or a store, and take photos of the students or families who line up. The company, founded in 1989, started working with The North West Company in northern Ontario. That's when the small company saw a need and started to "adventure further north," said Miller. In 1996, the photographers travelled to Rankin Inlet for the first time. Slowly, they travelled to more remote communities. Now, places like Norman Wells and Lutselk'e, N.W.T., and Taloyoak and Naujaat, Nunavut are on the list. Miller, who's also a portrait photographer, recalled a last-minute trip to Rankin Inlet 20 years ago. She recalled a "magical" moment that day, when a petite, young woman approached her. "I said, 'Would you like your photo taken?' and she said 'No, my baby.'" On the Land photo exhibit celebrates Dene people and culture in N.W.T. Miller said she didn't see a baby. 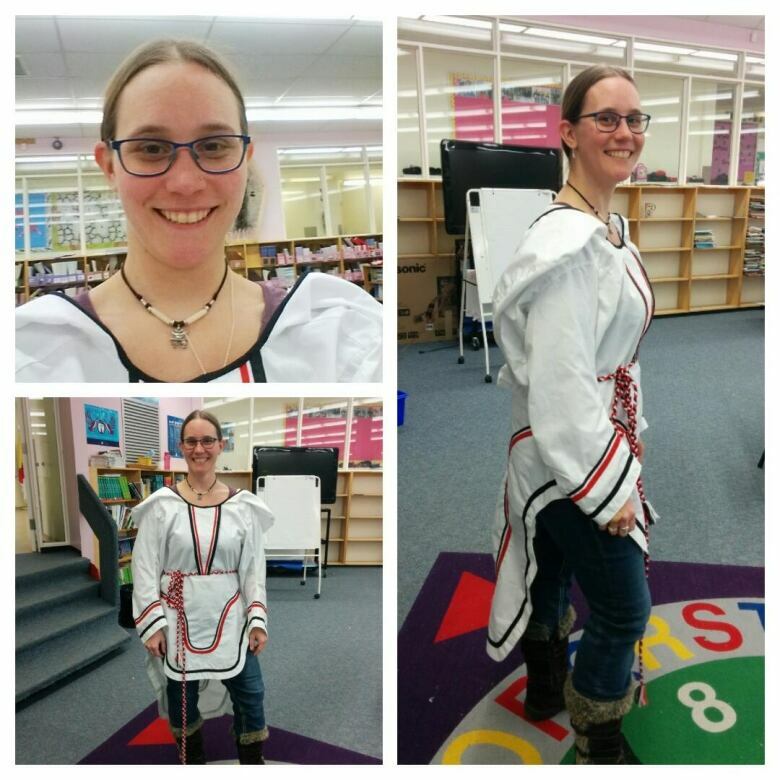 Then, the woman pulled a toddler out of the hood of her amauti — an Inuit parka. "I was astonished that she could pull this baby magically out of her amauti," she said, laughing. Charming interactions with the people in the communities is what makes travelling photographers fall in love with the North, said Miller. 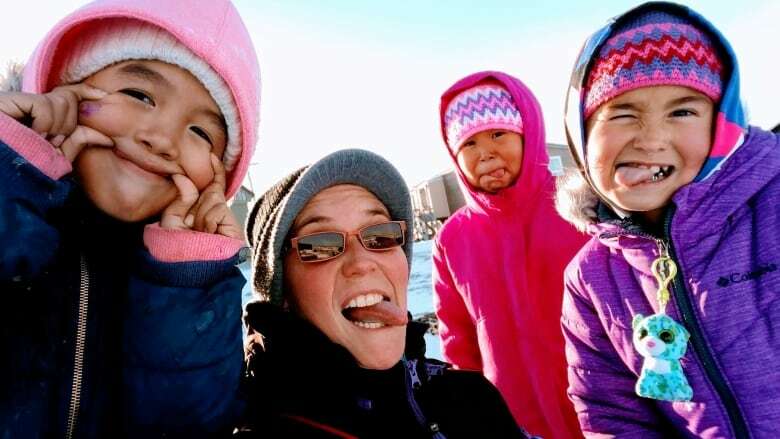 One photographer, who worked with the company for nine years, ended up moving to Iqaluit because she loved it so much, she added. "I love it," said photographer Krueger. 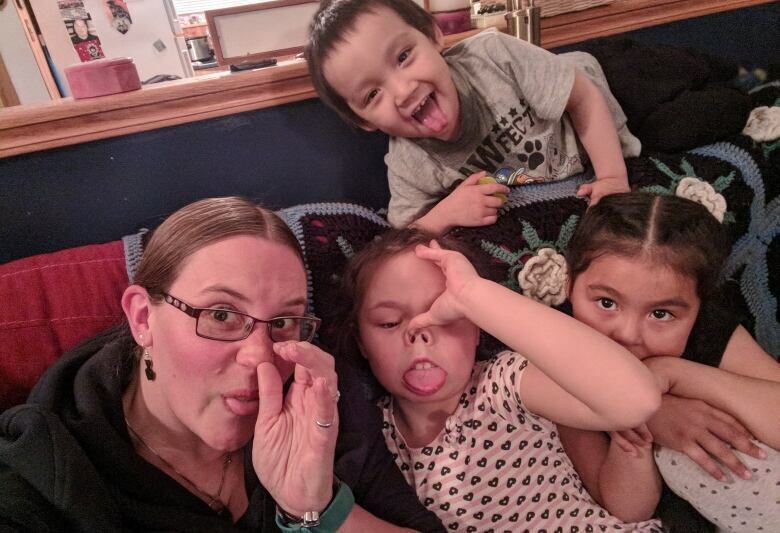 She said in the past five years doing her job, she's been invited to several homes and community feasts where she tried narwhal and seal meat. She's also been taken out on the land where she saw her first polar bear (outside of the Toronto zoo). "I know there have been a lot of hardship, so for people to welcome me in, I know that's really special," said Krueger. 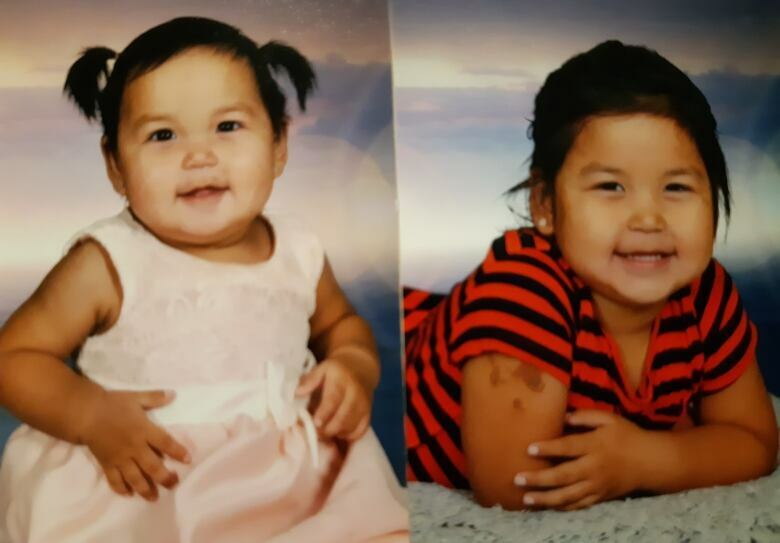 Alvina Tudlik, Nevaeh's mother, said watching her baby grow through these yearly portraits has been special. "It's heartbreaking that she is growing so fast," Tudlik said. Tudlik said she keeps in touch with Krueger and occasionally sends her photos of her daughter through social media. Tudlik said Nevaeh gets attached to Krueger when she's in town. "I'm just thankful that [Krueger's] known my daughter since she was a baby," said Tudlik. Both Miller and Krueger say they love photographing people in the North more than in the South. "In the North, more people are less cranky," said Krueger. Miller said that the portraits are more treasured up North. 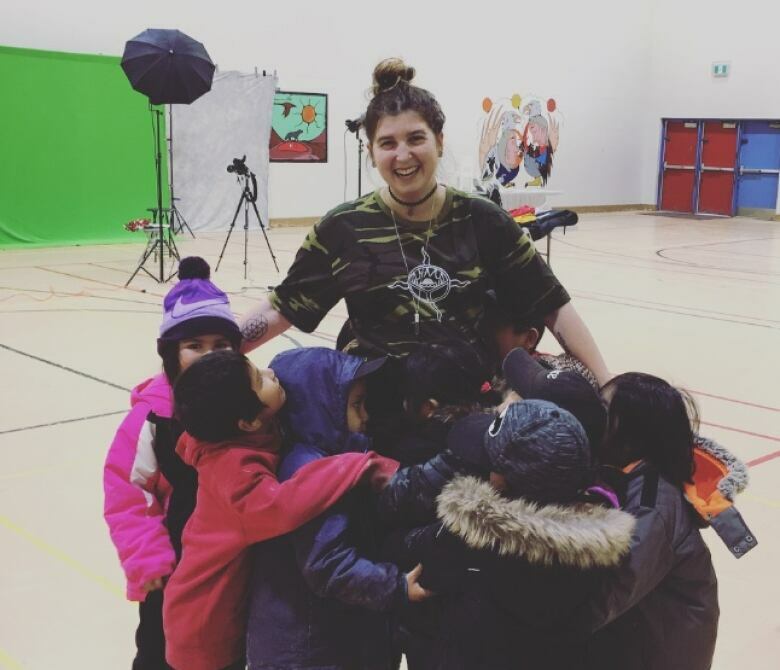 "I'm starting to understand, it's a community up there and the communities are raising these children ... That's why, probably, they all want a photo of each other." B.C. man travels 3,800 km in 4 days for the northern lights in the N.W.T.